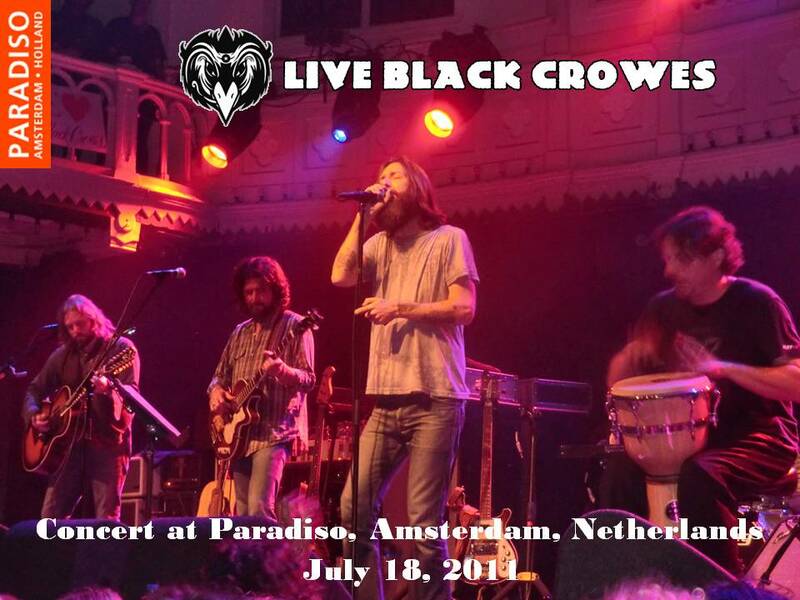 The Black Crowes were back at Paradiso on 17 and 18 July 2011, once again, for their last night on final tour before calling it to hiatus of bit more a year until next march , when they will return to the road with their “Lay Down With Number 13” world tour, beside new live recording WISER FOR THE TIME. Meantime, by a follower´s request I´ll repost that memorable night , which like every show on that tour started with an acoustic set followed by a “normal” set halfway the show. 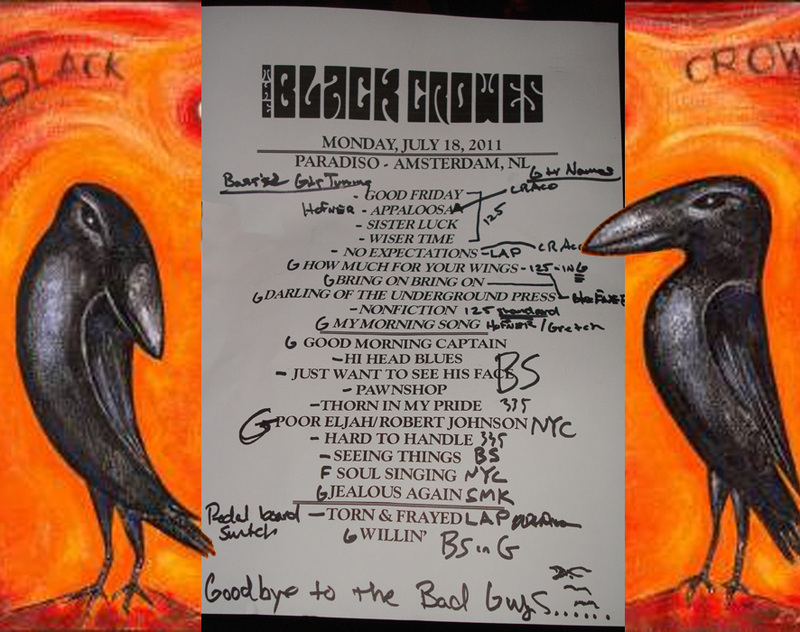 And as promised the set list this night was totally different than the day before in Paradiso. In the end it turns out they only played ‘Jealous Again’ both nights. But it hardly matters what they was played. These are great musicians that can make any song sound good. And they are having a great time at it. Singer Chris Robinson is heard so comfortable on stage , enjoying the solos of his brother Rich Robinson and virtuoso Luther Dickinson . And that’s what i want us all are to do , enjoy this night on stage playing their beloved songs. 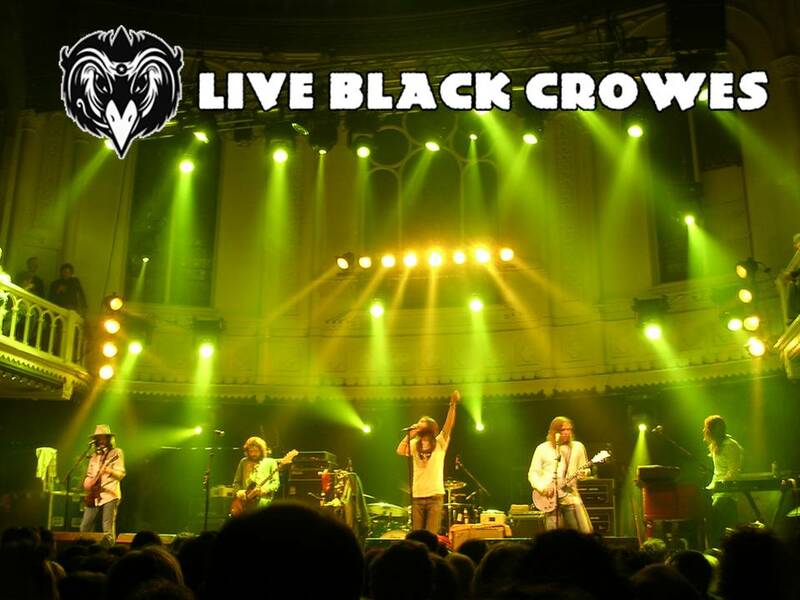 Chris Robinson (lead vocals, guitar), Rich Robinson (guitar, vocals), Steve Gorman (drums), Sven Pipien (bass) and Adam Macdougall (keyboards) of THE BLACK CROWES “are thrilled to announce the addition of their good friend Jackie Greene” on guitar and vocals. “Under a Mountain” performed live in NYC in 2010. This offering is exclusive and not included on WISER FOR THE TIME. The first leg of the “Lay Down With Number 13” tour begins March 24 in Manchester in the U.K. and will run through May 4 in New Orleans. Stay tuned for a VIP Ticketing announcement.